How it works Your output device that has the HDMI connector ( Cable box, Satellite receiver, DVD player ) plugs into the INPUT of the HDMI Transmitter with a HDMI cable. Then you plug 2 Cat 5e cables into the back of the HDMI transmitter Wall Plate and run your cat 5e cables to the HDMI Receiver Wall Plate. Place your IR Receiver in a out of a way location a few feet from the TV that you can clearly aim your remote control at. Your HDMI Receiver then hooks up via HDMI cable to your HDMI input on your HDTV display. Place the IR Receivers on or near the devices that you want to control. Plug the AC adapter ( included ) into the Receiver. Please note - Two Cat5e or Cat 6 cables (not included)are needed to connect the sender and the receiver units to each other. For distances up to 100 feet, shielded CAT5e or CAT 6 cables are recommended for optimal video quality. 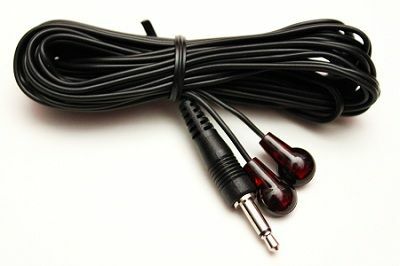 Cable adjustable equalization with 8 levels. Connect your HDMI source (cable box, DVD, game unit)to the transmitter. Connect your HDMI display (TV) to the receiver. 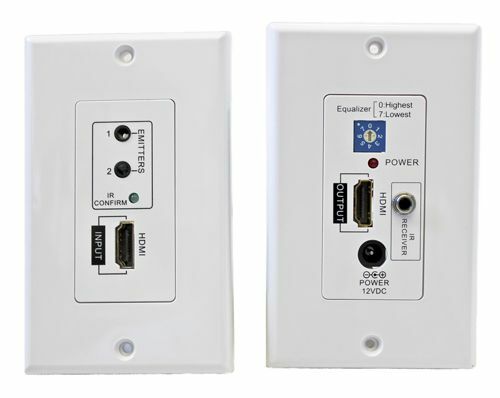 Just plug in your Cat 5 cable connector into the back of the Wall Plates between the transmitter and receiver. Plug in the included 12 volt power source to the power jack of the receiver. If you notice any flickering or blinking image, then just adjust the equalizer rotational switch on the Receiver to improve the picture. 3. Plug the target into the Wall Plate ( output side ) where it is labeled IR receiver. Then plug the IR emitters into the ( input side ) locations 1 and 2 of the wall plate where it is labeled emitters. Cat 5/6 cables can be field-terminated, while HDMI cables cannot. Not only fairly easy not to mention the fact that Cat cables are easy to install and a lot less expensive. NOTICE: Because of the quality of the Cat5e / Cat 6 cables we highly recommend that you use high quality HDMI and Cat5e or Cat 6 Cables. Quality of cables have a direct relationship to how long you can run the cables and still how good the signal will be. Although not designed to reject interference from plasma or LCD TV's, you can work around this by installing the IR receiver eye in an area that isn't exposed directly to the TV screen - at the back of a bookshelf, on the wall below or next to the TV - somewhere the eye can't "see" the TV image. Just make sure you still have a direct line of sight from the eye to your normal seating position. 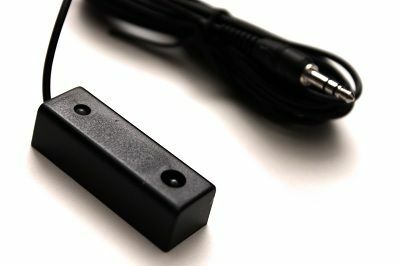 The Hidden IR System can be used in a room with a plasma TV or LCD display by installing the IR receiver in an area where it can't "see" the TV image - behind the TV or in a bookcase, for example. A. We have seen that some cable boxes like the SA HDTV DVR's and Direct TV HDTV Receivers use a higher frequency than what has normally been found in USA homes. We have seen that some cable boxes like the SA HDTV DVR's and DirectTV H21 use a higher frequency than what has normally been found in USA homes. For this reason we have included a Dual Frequency IR Receiver.